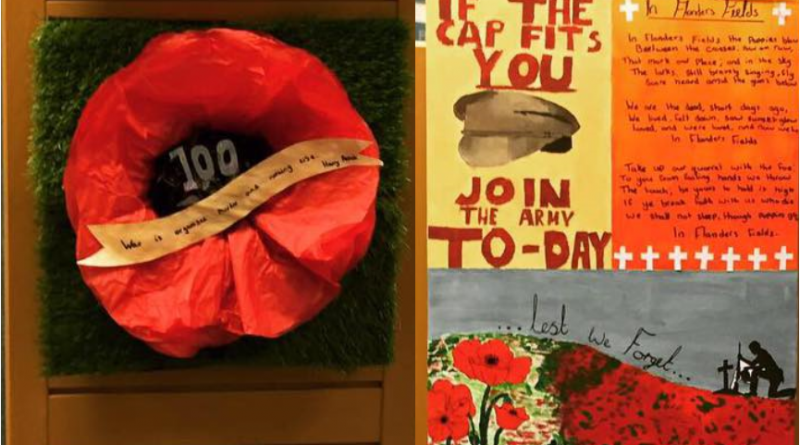 Year 7—9 students have created a brilliant display in honour of the WW1 centenary of Armistice Day, with the guidance of the History, Art and English subject teachers. So if you’re passing, pop in and have a look. It’s well worth it!